Developed with the Ministry of Defence (MOD), as well as with patients and their families, IPC4V provides a framework for effectively planning and delivering personalised care in line with the health commitments of the Armed Forces Covenant. Central to this is an improved discharge planning process, starting approximately nine months before these individuals are due to leave the military. As part of this, a range of organisations, including the MOD, health and social care and Armed Forces charities work together with the individual to develop a personalised care and support plan that meets their needs in ways that work for them. Where appropriate, this also includes the involvement of the individual’s family / carer. Embedding the six evidence-based components of the Comprehensive Model for Personalised Care, IPC4V provides an effective and sustainable framework that can be consistently used and applied across England. Following an initial holistic assessment around the individual and their health and wellbeing needs, a personalised care and support plan is developed with them (and also their family where appropriate). These arrangements are put into place whilst the individual is still serving, ensuring that Armed Forces aware care and support are provided as they transition to civilian life and beyond. Ongoing support to help ensure that they are an active participant in the planning and management of their own health and wellbeing, with outcomes and solutions having meaning and context within their life. A dedicated Veterans Welfare Manager, who will be a central point of contact for the individual and all involved organisations. The Veterans Welfare Manager will provide a range of support, including ‘guided conversations’ to help the individual identify goals and actions and explore the management of their health and wellbeing within the context of their whole life and family situation. They will also make connections to community based resources, including veteran specific organisations, facilitate appropriate referrals back into health or social care and arrange an annual review of the individual’s care with them and each involved organisation. 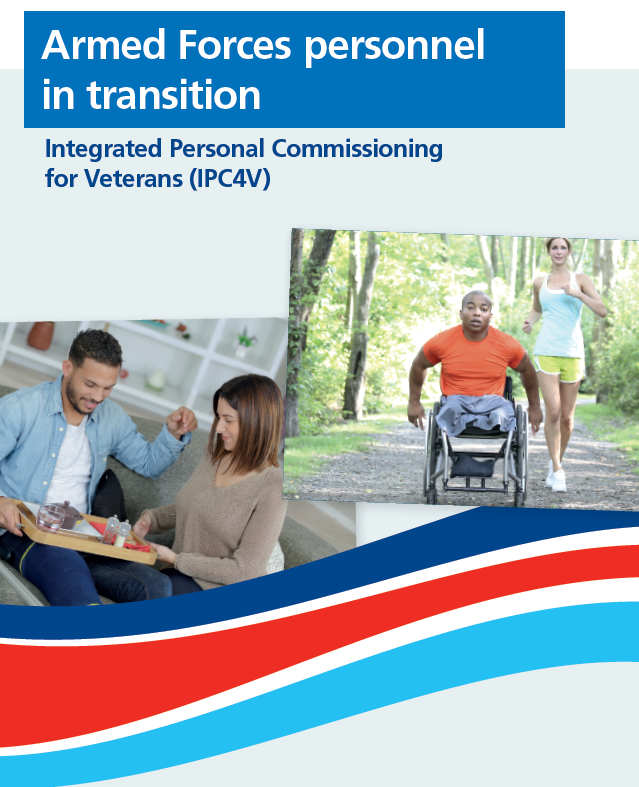 Armed Forces personnel in transition, IPC4V is one of two frameworks being developed to support the provision of personalised care and support for serving and ex-serving personnel. The second framework, which is for veterans with ongoing health and social care needs, is in development and due to launch in summer 2019. This is in line with the NHS Long Term Plan, which sets out the commitment to supporting veterans. For further information visit here or email england.armedforceshealth@nhs.net.